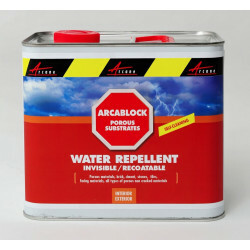 ARCABASE foundation waterproofer renders a waterproof barrier that will prevent water from entering your home. 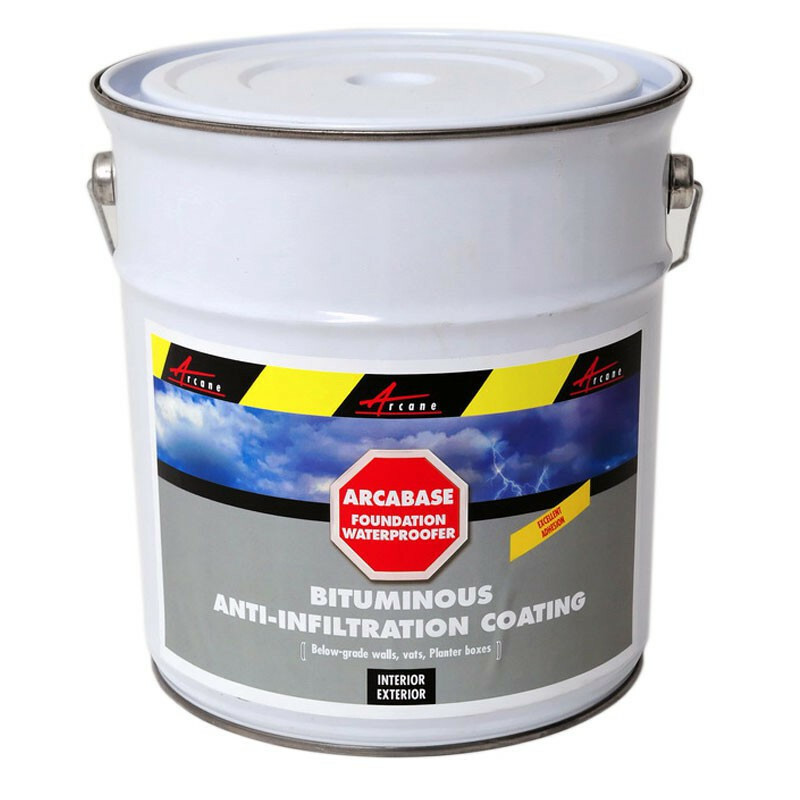 An environmentally friendly waterproofing product ARCABASE FOUNDATION WATERPROOFER is a thick malleable coating based on an alveolar structure bitumen emulsion. You can apply insulation panels over ARCABASE. Protects the substrate from dry and wet rot. 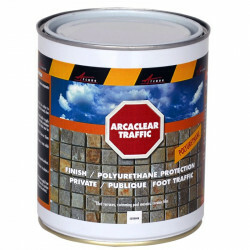 ARCAFLEX treats cracks or joints which are too large to fill and reinforce with Arcacem S2 and Arcafibre (more than 3mm). 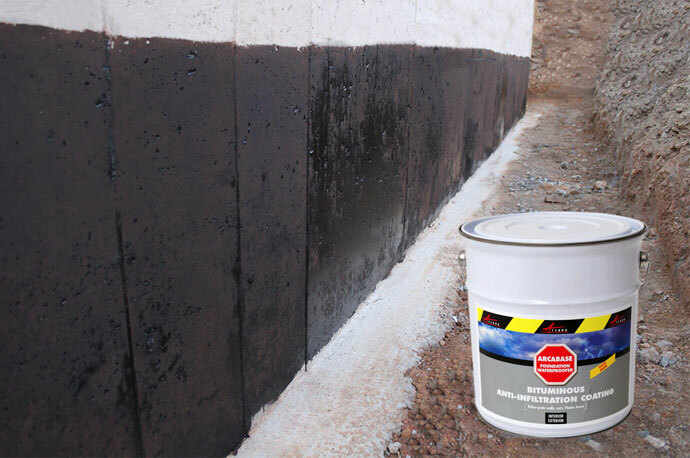 Arcaflex fills joints and repairs large cracks in horizontal and vertical surfaces. 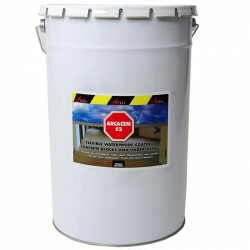 ARCACEM is a cementitous waterproofing system designed to protect and waterproof cement and fresh mortar surfaces - particularly suited for waterproofing basements and underground water tanks. 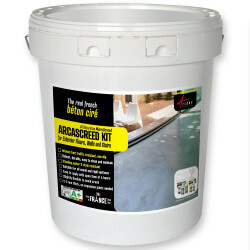 ARCACEM S2 is ideal for waterproofing bathrooms, showers, balconies, terraces, swimming pools, etc. before laying ceramic tile finishes. 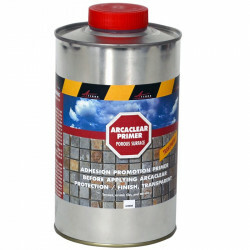 Arcabase is a high quality, environmentally friendly waterproofing product designed to waterproof and protect foundations and below-grade walls. 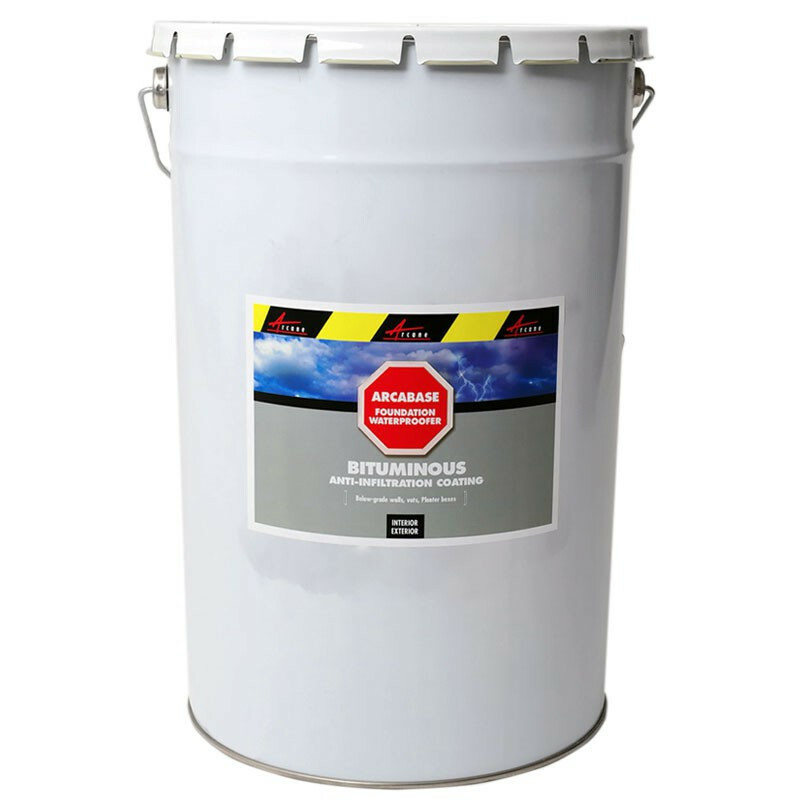 It will also be effective in waterproofing planter boxes, vats, tanks and basins. 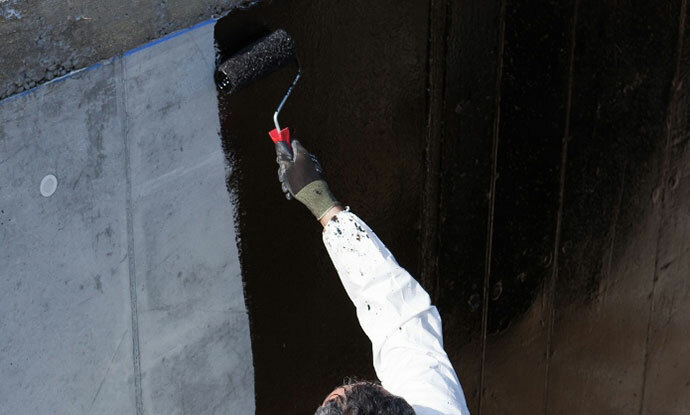 ARCABASE also treats and protects wood and metal substrates on roofs, quays, jetties and pontoons. Do not apply in temperatures lower than 5°C or higher than 35°C. Avoid application in direct sun and/or strong wind and/or rain. Apply a primer coat of ARCABASE diluted with 5 to 50 % water (depending on the porosity of the substrate). Surfaces to be coated must be dry, clean, sound, and free from all contamination including loose particles, dirt and dust. 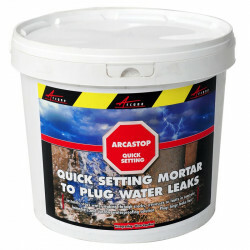 Concrete and masonry should be wet down before applying ARCABASE in thin coats. 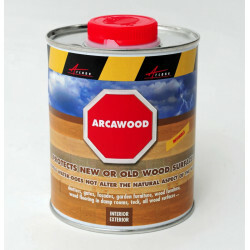 Using a trowel or brush, apply one or more coats of ARCABASE. Always apply in thin coats. 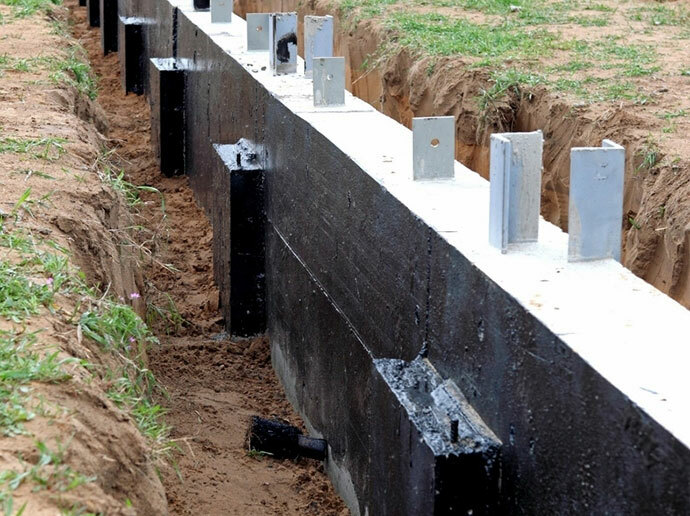 We recommend that you cover ARCABASE with a foundation waterproofing membrane to protect the coating against penetration of sand and pebbles or small stones.